On a very full train this morning, the Governor accidentally took a seat in Amtrak’s notorious quiet car. After breaking the cardinal rule of the quiet car, the Governor promptly left once he realized the serious nature of his mistake and enjoyed the rest of his time on the train from the cafe car. Sincere apologies to all the patrons of the quiet car that were offended. Hickox files suit against Governor Christie and members of his administration, saying they violated her constitutional rights by holding her against her will without due process. She is seeking $250,000 in compensatory and punitive damages, $2,000 for each hour of her 80-hour detention, after arriving back from Sierra Leone, plus extra for punitive damages. I felt completely alone and vulnerable…It was really hard. I had a lot of tough moments.We are filing this claim to hold those who made this decision accountable and also to highlight and fight against the lack of due process in the quarantine policy in New Jersey. It was clear to me that politicians and in particular Governor Christie were really reacting out of fear. When you choose to detain someone out of fear that’s discrimination. PAUL: I want to collect more records from terrorists, but less records from innocent Americans. The Fourth Amendment was what we fought the Revolution over. I will continue to stand for the Bill of Rights. CHRISTIE: That’s a completely ridiculous answer. How are you supposed to know [the difference]? CHRISTIE: Senator, when you’re sitting in a subcommittee just blowing hot air about this, you can say things like that. When you’re responsible for protecting the lives of American people, then what you need to do is make sure..
PAUL: Here’s the problem, governor. You fundamentally misunderstand the Bill of Rights…I don’t trust President Obama with our [phone] records. I know you gave him a big hug, and if you want to give him a big hug again, go right ahead. Our field is the biggest and most diverse of any party in history and I am glad to see that every one of those extremely qualified candidates will have the opportunity to participate on Thursday evening. Republicans across the country will be able to choose which candidate has earned their support after hearing them talk through the issues. [You] should create a circle of intellectuals, wise and learned men and women, people with whom he could be completely candid. Meet with them regularly. Let them bring the benefit of scholarship to your endeavors. [And] When you discuss policy always ask the question: What about morality? What is the correct moral dimension in all of these discussions? Christie tweets a five-part Memorial Day message. Today, we pause to honor the American heroes in our military who courageously and selflessly defend our country and our freedom…Throughout history, the brave men and women of our armed forces have served as a constant symbol of patriotism for all Americans…Words alone cannot fully express our gratitude for our veterans and their families who continually support them…On this #MemorialDay, I encourage all New Jerseyans to join me in thanking our service members for their willingness t defend our nation…And to remember those who have paid the ultimate price for our country. Their unmatched patriotism makes us all proud to be Americans. Christie demands an apology from media over the Bridgegate scandal. I do believe there’s an absolute bias and a rush to judgment. You all know this, you saw the coverage of me 15 months ago. I was guilty, I had done it…Now we’re 15 months later, where are the apologies pouring in? Not one thing I said the day after the bridge situation has been proven wrong. Christie signs an executive order he says will help protect New Jersey residents from cybersecurity attacks. Cybersecurity is not just a national issue. Attacks consider to rise here and around our nation. As governor, it’s my job to ensure that 21st century threats … are met with 21st century solutions. Christie delivers a foreign policy themed speech in Portsmouth Navel Shipyard, New Hampshire calling for a stronger military. His plan calls for growing the military to 500,000 Army soldiers and 185,000 Marines, and increasing the size of the Navy fleet to 350 ships from the current 260 ships, and increases to the size of the Air Force. President Reagan once said that ‘above all, we must realize that no arsenal or no weapon in the arsenals of the world is so formidable as the will and moral courage of free men and women. It is a weapon our adversaries in today’s world do not have. It is a weapon that we as Americans do have. He also calls for tougher anti-terror laws, stronger surveillance program, increasing military spending and its worldwide presence. Too often, the loudest voices in the debate about how to keep our country safe are driven by some purist, theoretical vision of how we should manage our intelligence efforts. When Edward Snowden revealed our intelligence secrets to the world in 2013, civil liberties extremists seized that moment to advance their own narrow agenda. They want you to think that there’s a government spook listening in every time you pick up the phone or Skype with your grandkids. Let me be clear – all these fears are exaggerated and ridiculous. Mrs. Christie has decided to take a hiatus from her work in the finance world to spend more time with her family and young children. 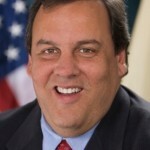 Christie calls for cuts in social security and raising Medicare premiums for upper income retirees, as well as giving states more control over Medicaid, the joint federal-state health program for the poor, and for requiring the poor to pay some amount out-of-pocket for their care. He also proposes changes to the Social Security disability program that would limit access to benefits for some people. Do we really believe that the wealthiest Americans need to take from younger, hard-working Americans to receive what, for most of them, is a modest monthly Social Security check? We believe there’s a void right now in leadership throughout the country…We aim to support candidates who are willing to take on tough problems and make tough decisions. Her next stop was going to be here in New York. A quarantine order will be issued. Chris Christie accepts the ALS Ice Bucket Challenge and nominates Mark Zuckerberg. Fallon and New Jersey Governor Chris Christie present The Evolution of Dad Dancing. Fallon and Christie both wear khaki pants and blue shirts. The two perform several dances such as The Lawnmower, The Belt-Grabber, The Back-up, The Republican Convention, and the Democratic convention. Winfrey interviews Governor Chris Christie in a one on one session detailing his family life, his wife and controlling his weight. She was fun in a different way than I’d ever experienced with anybody I’d ever dated. She was very spontaneous. Let’s go break into the kitchen in the dining hall at college because we smell that they are baking doughnuts for the next morning. So let’s sneak in and steal some of the doughnuts now.